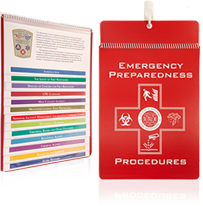 Your Emergency Preparedness Guide will help keep your staff prepared for emergency situations such as bomb threats, fire emergencies and system failures. 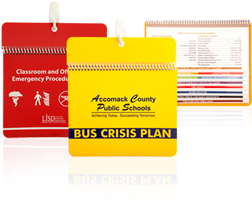 Because it is completely customized, the Emergency Preparedness Guide allows you to convey information specific to your safety policies and emergency procedures. 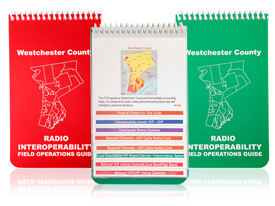 And, because of the product's unique appearance, employees will have no trouble locating the Guide in urgent situations. 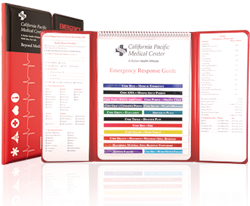 The guide brings all of your emergency information together in one easy to manage system – regulatory compliance, emergency response plan, employee safety and education. Working closely with you, our team of graphics coordinators will design your guide, organize and typeset the copy, and provide proofs for your approval at every step. 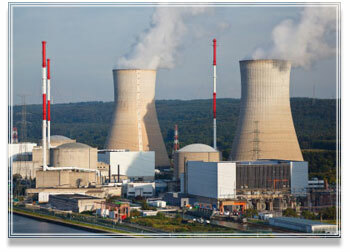 We'll handle everything and deliver a finished product that is ready to put into service. It's that easy and always backed by our Plain Language Guarantee. When used with our wall mount accessory, the guide will be there when needed. 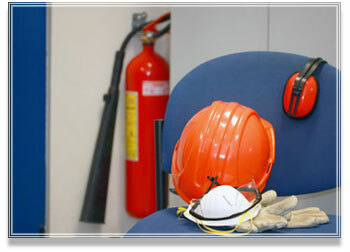 The mounting of the guide holder is similar to the method of mounting a fire-extinguisher to the wall. With consistent, conspicuous placement and its unique design, the guide will be quickly recognized throughout your facilities.